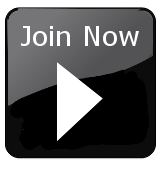 This item is strongly recommended for those taking part in the sports karate course. The standard gum shield that moulds when submerged in boiling water. Comes complete with case. Stitched edges for thumb insertion, with padded knuckle protection. Sold in pairs. 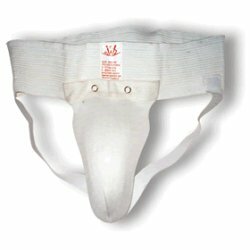 Wide strap round waist with elastic straps at rear to secure groin guard in place. 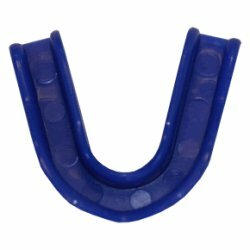 PU material with hard cup. Elastic strapping round waist and groin area with removable cup. Recommended for the sports karate course. 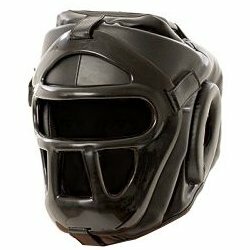 Headguard with shatterproof removable plastic cage mask. Jaw, chin, top and rear of head protection. Velcro fastener at the back of the head. Excellent all round vision. Extra protection for the sports karate course. Stitched elastic edges with padded shin and instep areas. Sold in pairs. 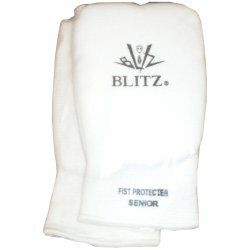 Extra protection for the sports karate course. 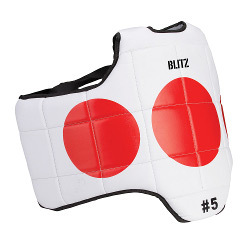 This adaptable guard can also be used just as a training vest. The perspex guard easily inserts from the front of the lycra vest, ensuring minimal effort and time when competing and training. Cotton lycra vest with perspex guard. Provides protection for the breast, ribs and sternum. Extra protection for the sports karate course. 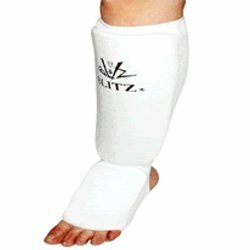 Flexible groin protection that fits securely. Made from PU material. Moulded to fit securely to your knuckles. Elastic strap wraps around wrist. Lightweight and compact, the special dipped foam material absorbs blows and knocks. Lightweight and compact, the special dipped foam material absorbs blows and knocks. Tongue and heel have moulded air holes to enable your foot to breath more easily. Strap fits securely round foot. 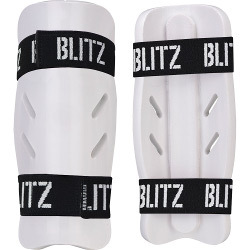 Shin guards with air holes and are moulded firmly to your shin. 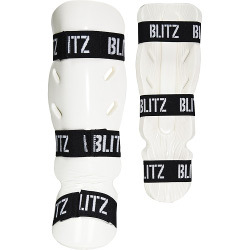 Shin guards are locked to the leg and are secured with two elastic straps with velcro fastening. Lightweight and compact, the special dipped foam material absorbs blows and knocks. 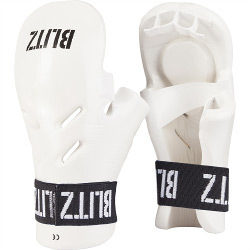 Lighter than most shin and instep guards. Shaped to fit perfectly around most shin shapes. Velcro fastening around shin and foot with air holes. Extra protection for the sports karate course. 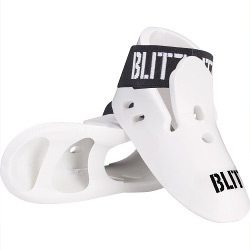 Just covers the instep, PU foot guard. 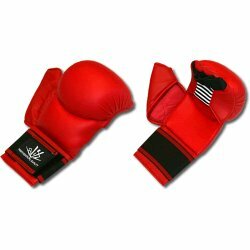 Excellent hand protection for those taking part in the sports karate course. 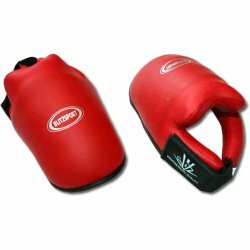 Soft PU material with an open palm with an enclosed thumb section for that extra protection. 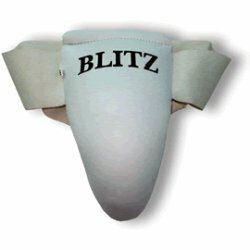 Extra protection for those taking part in the sports karate course. 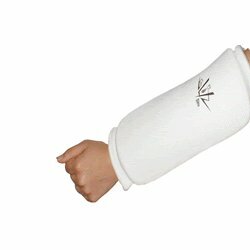 Pull on elasticated forearm for maximum protection against aggressive blocks. Sold in pairs. Extra protection for the sports karate course. Lightweight high impact protection, with a robust outer shield. Long lasting, it shapes perfectly round your body. Blue spot one side and red spot on the other. Taped outer edging with easy to tie straps.